Kyle Conner is heading into the post-season on a high after scoring a hat trick last night, that after being teased by teammates he will need help to make it happen, that was until he did. The hat trick was Conner’s first in his NHL career, and it came down to the final seconds in the third period before it became a reality. Connor scored his first goal at 15:20 in the second period, his second at 5: of the second, and with nine seconds remaining in the third, he scored his third. Also scoring for Winnipeg was Kevin Hayes and Andrew Copp. Assists were given to Connor, Kevin Hayes earned three, Matt Hendricks, Patrick Laine, Tyler Myers, Mathieu Perreault and Jacob Trouba each earned one. 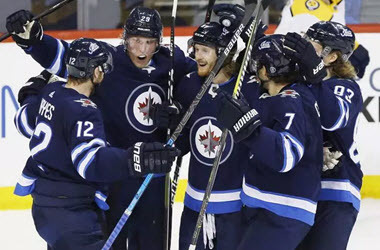 Conner Hellebuyck stopped 33 shot and earned the win as the Jets went on to a 6-0 victory over the Nashville Predators. 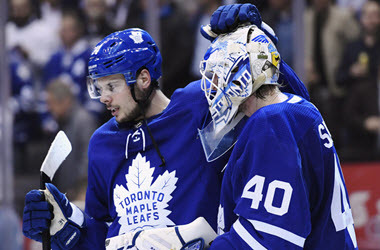 The win and playoff spot is good news for Canadian friendly sportsbooks and punters favouring the upcoming post-season, and with signup bonuses available with many leading NHL sportsbooks, the time is perfect to prepare for what is to come in the post-season. The success of the changes was impressive to Connor Hellebuyck, who stopped 33 shots last night, Commenting, Hellebuyck said,”They were phenomenal. 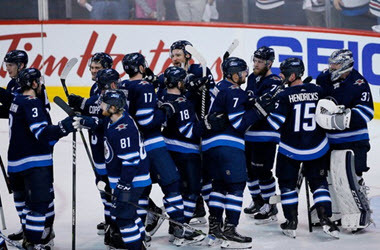 They were getting their sticks on everything, they were blocking shots, they were controlling the pace of play.” Blake Wheeler also praised the results noting that as the third period was coming to an end, the crowd rose to give the Jets a standing ovation. He also noted that the vibe at Bell MTS Place was good from the minute the first period got underway. Winnipeg will next play host to the Dallas Stars on Monday, The New York Islanders on Thursday and the Montreal Canadiens on Saturday. The Predators will head to Minnesota for a Monday night game against the Wild and Pittsburgh on Friday to face the Penguins.